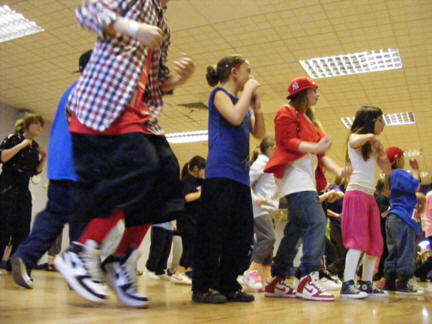 If you are looking to learn all the styles that make up street dance we offer classes, private tuition, workshops and more. We are proud to have trained past and present pupils who have become Regional, British, European & World Street Dance Championship Winners & Finalists. 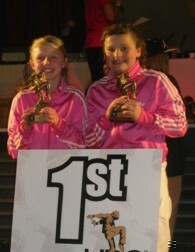 "DanceDomain Is Home To World, British & European Street Dance Champions"
BASE Crew is a small Group aged 10 - 13yrs - after just 3 weeks of being together placed 2nd at National Street Dance Championships and auditioned for TV Show Alesha Street Dance Stars and secured a place on the show! We are pleased to announce that one of our street crews auditioned for a TV dance competition and was selected to be featured in the program. BASE will be appearing on CBBC (20th August 2012) & BBC1 T.B.A. 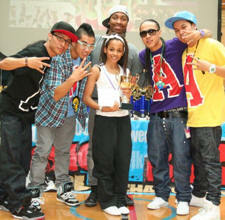 the program hosted by Alesha Dixon "Alesha Street Dance Stars" is set to find Britains Top Street Crew aged 10-16yrs. BASE: Choreographed by Belle who is just 14yrs old have worked very hard after being together just 3 weeks they got selected. Fingers crossed for them on the show. 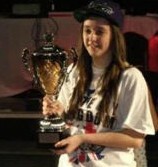 Labelled By Judge Ashley Banjo (Diversity) as they most promising young street dancer this country has to offer! Awarded 3 Gold Stars By The Judges, in her Dome Audition, Made the top 30 Dance Acts In Britain & Ireland and went on to make history on the Tv Show by becoming the first ever solo female street dancer to make the Live Semi-Finals. There is more to DanceDomain than just Dance Classes, our pupils have the chance to enter competitions, perform in shows, video and TV work. We also run examinations in dance too. At DanceDomain we run numerous Street Dance classes, we teach real street dance, the latest chorography to the latest most often un released music tracks. You are welcome to attend our classes for fun, keeping fit or if you wish you could become a Street Dance competitor, be part of a crew, attend street dance events, some where you get to meet many of the dancers you have seen on TV. With are large number of colleagues and contacts within the commercial dance scene are pupils get the chance to attend auditions for casting of shows, films, adverts and more. 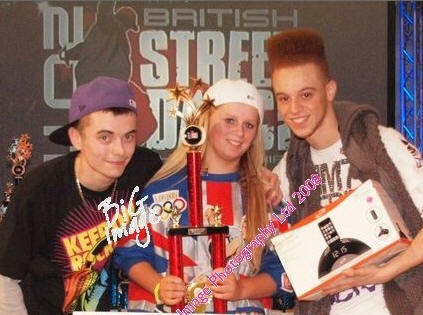 We even run our own street dance competitions and work with the biggest Street Dance event company in the country. We also attend weekend street dance events that the whole family can come along and support you and its not as expensive as you may think. 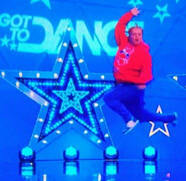 So if you want to dance just for fun, keep fit or become a more serious DanceDomain is for you! Dance of any form is a great outlet for young children and what we offer here is a chance to do more than just classes, but we know that some simply want to do it to keep fit, have fun and socialise, so what ever the reason our team will always ensure they have a great time. 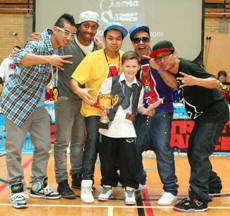 When it comes to street dance events DanceDomain Street Dance Promotions bring you the very best quality events. Since we introduced UDO events in Kent the popularity of the these well organised quality events has grown with many new and established schools now wanting to attend. The UDO are Europe's biggest street dance organisation and we are proud to be a part of the UDO team and in addition running UDO affiliated events. Click The Banners Below to view some of the results from the events our dancers attended. 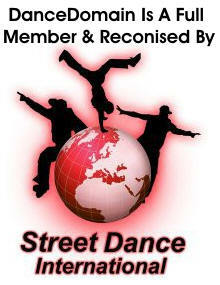 DanceDomain promote dance events such as Independent and UDO affiliated Street Dance and A.D.F.P. Freestyle events. 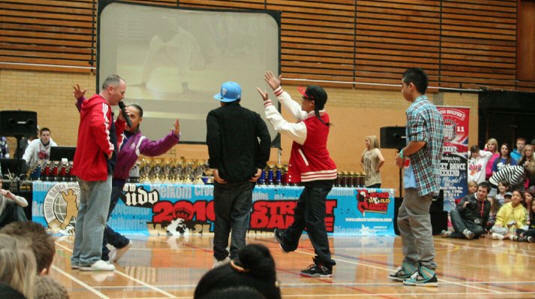 We are also part of the UDO Team working on the Official UDO events. In addition we also promote workshops and have an events management team for 3rd parties who to run their own events.